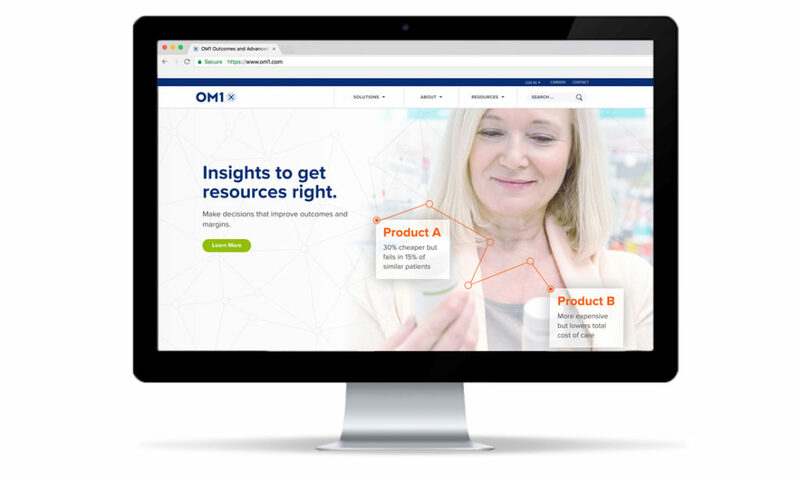 OM1 gives healthcare providers, payers and researchers the ability to reimagine how care can be measured and delivered. Step one was discovering the strategic marketing decision that only OM1 can deliver: personalizing big data. Our work included strategy, naming, brand identify, website development. Click here to see the website.